This book is a small guide to a subject on which there is much to learn. The author presents an overview of the four stages of becoming a Freemason Inititate. He goes over, lightly, some of the ideology behind thing such as Tracing boards, and how they are used to contemplate, and become more enlightened. The book made me more interested in the Freemasons. They truly seem at least from what I gathered in this book, to be a group that combines the best of religion and thinking. While I thought the book did provide some information, I was actually hoping for a lot more secrets to be revealed. I guess for those you have to actually become a Freemason, but the author was very knowledgeable about his subject, and presented it in an easy to understand manner. This book would be acceptable for all ages. There was nothing that one consider offensive in it. 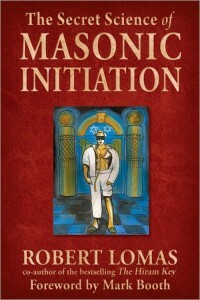 I think though that I’d only recommend it as a primer for someone wanting to become a Mason. I think there are probably more in depth studies of the Freemason history available if that’s what you are looking for. At $18.95 for 110 pages plus some color drawings, the information it provides just doesn’t seem to justify the cost to me. At that price, I’d expect much more. This book is a collection of essays on philosophy and how those philosophical ideas can be related to Alice in Wonderland. It’s part of a series called the Blackwell Philosophy and Pop Culture Series. Other novels in this series include Southpark and Philosophy, The Simpsons and Philosophy, and Twilight and Philosophy among other titles. Some of the subjects ideas covered are Alice as a feminist. Most female protagonists it seems in fiction, depend on a man to help them get through their situations. In the case of Alice though, she is very assertive, self reliant, and able to fend for herself if the need arises. There is also a section on the social contract. I found this area very interesting. It helped me understand some of the current situation in the political field. As people we abide in certain contracts, mostly non-spoken, that pattern our behavior. For example, it’ not polite to just run up to a stranger and smack them in the back of the head. When things happen, people sometimes find themselves outside this social contract due to things they didn’t agree to. This causes chaos within the person, because if their way of life is no longer there, and what they feel they have a social contract with doesn’t exist, then the mind begins to doubt that anyone/anything can be trusted. Another interesting part I caught on to was a description about how time is constantly moving forward. The example used was a piece of paper. We all know that eventually that piece of paper is going to crumble to dust. All things decay. But it’s an ongoing process. If you hold a sheet of paper in front of you, it won’t be the same now that it was one second ago. I’d never deeply contemplated a sheet of paper before, but found it interesting to think of. I found this an exciting book. Philosophy and the different ideas tied to it can be a very interesting topic. This book ties into some of those topics, and could provide some very interesting discussions I think. Pick it up, and give it a read. And be sure to come back here and discuss some of your philosophical thoughts. “You take the blue pill,” Morpheus says to Neo in The Matrix, “and the story ends . . . . You take the red pill and you stay in Wonderland, and I show you how deep the rabbit-hole goes.” It’s a tempting offer, isn’t it? For at one time or another in our lives, we’ve all wanted to escape — from a dull and tedious job, an impossible relationship, from a world in which we often have so little control over what happens to us. Perhaps it’s for reasons such as these that our culture has become positively obsessed with the idea of transcending the confines of this world for the cool fresh air of another. Whether it’s by a red pill, a secret wardrobe, a looking glass, or a rabbit-hole, it doesn’t really matter. We’ll take it. Of course, we don’t just want to know how deep the rabbit-hole goes. That’s a given; after all, it’s a portal to another world — “four thousand miles down, I think.” We also want to know how to make sense of what we discover when we suddenly land “thump! thump!” in Wonderland and pass through the looking glass. And Alice’s Wonderland is an oh! so curious place filled with both dangers and delights. Here we encounter blue caterpillars who smoke hookahs, babies who turn into pigs, cats whose grins remain after their heads have faded away, and a Mad Hatter who speaks to Time. There is a White Queen who lives backward and remembers forward, and there are trials in which the sentence is handed down first with the evidence and verdict given out only afterward. And you’d better be on your best behavior while there. As the Red Queen sees it, beheading is a punishment that fits every crime! We’ve spoken of Wonderland’s dangers, but what of its delights? Why should anyone want to travel to such a world? As Cheshire Puss tells Alice, you must be mad “or you wouldn’t have come here.” Is Wonderland simply a land of sheer nonsense, or is there a method to Lewis Carroll’s madness? Well, as the Duchess wisely observes, “Everything’s got a moral, if only you can find it.” And the moral of the book you now hold in your hands is that there are deep philosophical riches to be had in Alice’s Adventures in Wonderland and Through the Looking-Glass, answers to life’s ultimate questions, if only you have the proper guide. You don’t have to be blue, a caterpillar, or under the effects of the hookah to ask a deep question like “Who in the world am I?” As Alice says, “That’s the great puzzle!” Indeed it is. How can I know whether this or that job is right for me, if I don’t know who me is? Indeed, how can I know what I can become in the future? (Hardly any of us, I dare say, is satisfied with who we are at present.) And to know the answers to these questions, I must know who I have been. I must remember. But that’s often my problem: I forget. What to do? What to do? The Alice-addicted philosophers in this book will clear the air of the hookah smoke and forward you the decryption codes for unlocking your personal identity. And you’ll be glad they did. The above is an excerpt from the book Alice in Wonderland and Philosophy: Curiouser and Curiouser (The Blackwell Philosophy and Pop Culture Series) edited by Richard Brian Davis with series editor William Irwin. The above excerpt is a digitally scanned reproduction of text from print. Although this excerpt has been proofread, occasional errors may appear due to the scanning process. Please refer to the finished book for accuracy. Richard Brian Davis is an associate professor of philosophy at Tyndale University College and the coeditor of 24 and Philosophy. William Irwin is a professor of philosophy at King’s College in Wilkes-Barre, Pennsylvania. He originated the philosophy and popular culture genre of books as coeditor of the bestselling The Simpsons and Philosophy and has overseen recent titles, including Batman and Philosophy, House and Philosophy, and Watchmen and Philosophy. A spoonful of sugar helps the medicine go down, and a healthy helping of popular culture clears the cobwebs from Kant. Philosophy has had a public relations problem for a few centuries now. This series aims to change that, showing that philosophy is relevant to your life–and not just for answering the big questions like “To be or not to be?” but for answering the little questions: “To watch or not to watch House?” Thinking deeply about TV, movies, and music doesn’t make you a “complete idiot.” In fact it might make you a philosopher, someone who believes the unexamined life is not worth living and the unexamined cartoon is not worth watching.